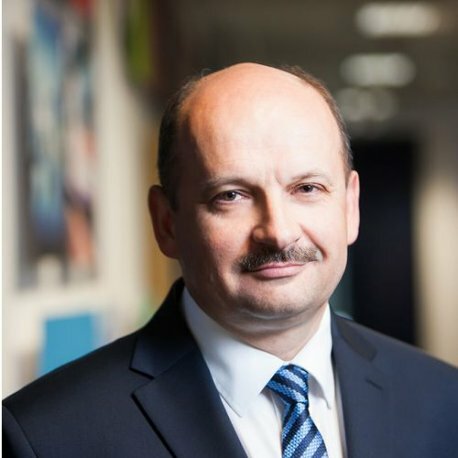 Mr Jaroslaw Szymczuk joined IBM in Poland 26 years ago and has operated in a number of executive and leadership roles in Poland, CEE and MEA during his career in the company. Among others, Mr Szymczuk has been previously responsible for strategic outsourcing in Poland and Baltic Countries and later for Account Management and Transition&Transformation Department. Most recently, Mr Szymczuk was IBM Global Technology Services Director for Poland and Baltics where he was responsible for the development and deployment of IT projects. Since January 2017 he was also a Board Member for IBM Poland. Jaroslaw Szymczuk graduated from Warsaw Technical University, he also holds an MBA title from the Open University, Milton Kaynes, the United Kingdom.